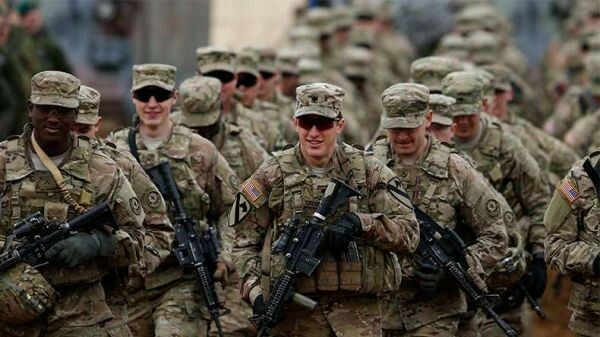 Poland – The US military deployments into Eastern Europe have increased again, this time with an additional 1,000 US troops and vehicles, to be stationed at Orzysy, a northeastern town of Poland. The deployment, says officials is part of a “spearhead” military force against Russian aggression. The US Army made the announcement over the weekend. Orzysy is situated roughly 80 miles away from the Russian border. Officials are reiterating this move as an effort to “deter” Russian aggression, a fear that has lingered since the Cold War, and also a long-time NATO narrative that spurs on the possibility of a Russian invasion. This isn’t the first time a deployment has been made. Several occurred throughout last year, with more than 4,000 deployed to Poland and other close proximities to the Russian border. In the last week alone, the US launched two additional ground deployments into Eastern Europe both to Romania and Bulgaria. This article (Additional 1000 US Troops Sent to Poland to “Deter Russia” in NATO Buildup) is a free and open source. You have permission to republish this article under a Creative Commons license with attribution to Aral Bereux and DNewsHQ.